*FX is moving some of its popular shows to new sister channel FXX, including its late night offering, “Totally Biased With W. Kamau Bell,” which premiered on the mothership last year. Executive produced by Chris Rock, the show also expands from weekly to nightly, which Bell finds rather liberating. “I think Friday was a always a really bad day for us because we had just done the show on Thursday, and Friday we’d sort of show up at the office and some big news story would break, and you’d be, like, ‘Man, we have to hit this.’ And we’d start writing into it, and then by Tuesday we were, like, ‘Oh, this is dead,’ either because other shows have talked about it, or it’s just we are not thinking about it as a culture anymore,” he told TV critics in August at the TCA Summer Press Tour. Bell, who regularly puts his comedic spin on race, says one of his racial pet peeves is when white people attempt to judge what is racist and what is not. Listen below. 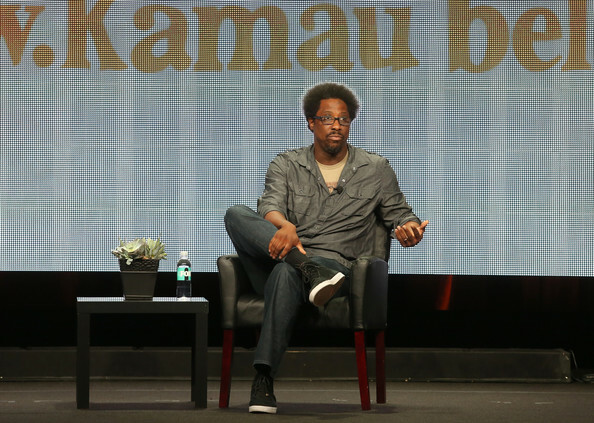 “Totally Biased With W. Kamau Bell” debuts Wednesday (Sept. 4) at 11 p.m. on FXX. Click here to find out where FXX is on your cable system. Watch a promo of the new second season below. Previous ArticleAsk Tamara: At What Age Should Teens Date? We can have a final say on how we spend our money. Go to http://www.blackbuying.com and find businesses that you can support. If you find businesses on the site that you have had a bad experience with, use the comment section at the bottom of the page to admonish them. I complain about racism all the time, and rightly so. I created Blackbuying.com. I only want to support the best businesses out here! Please let me know about the businesses on the site that are not worthy of promotion.